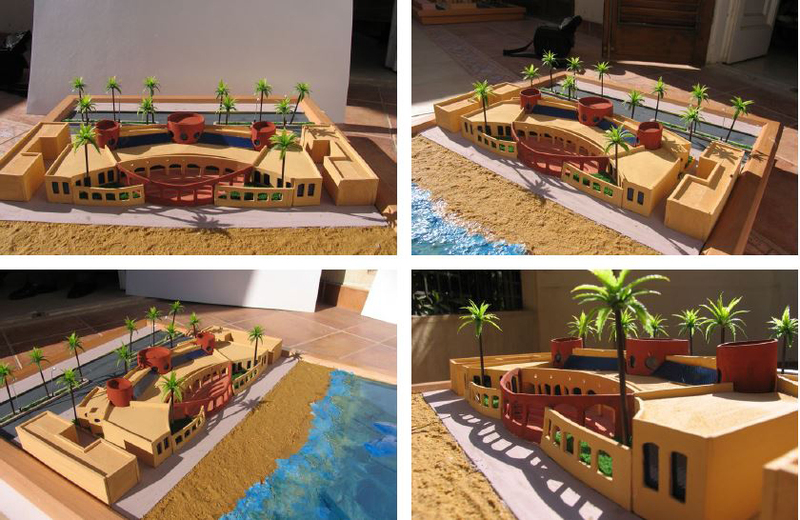 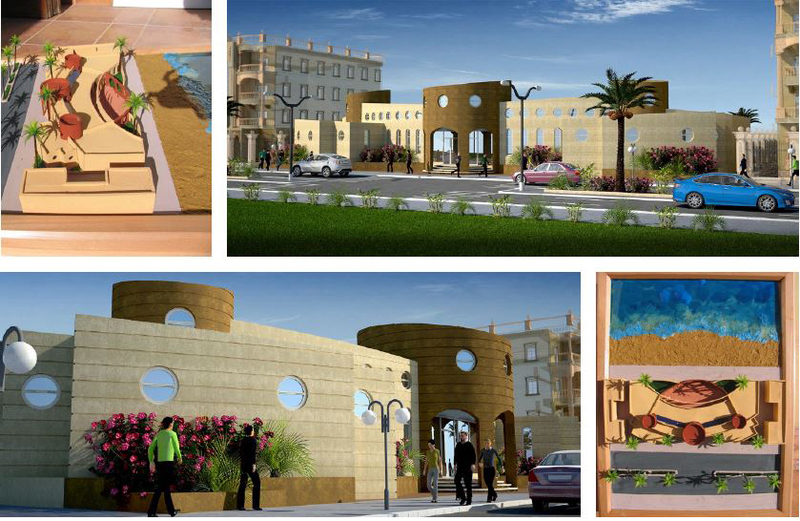 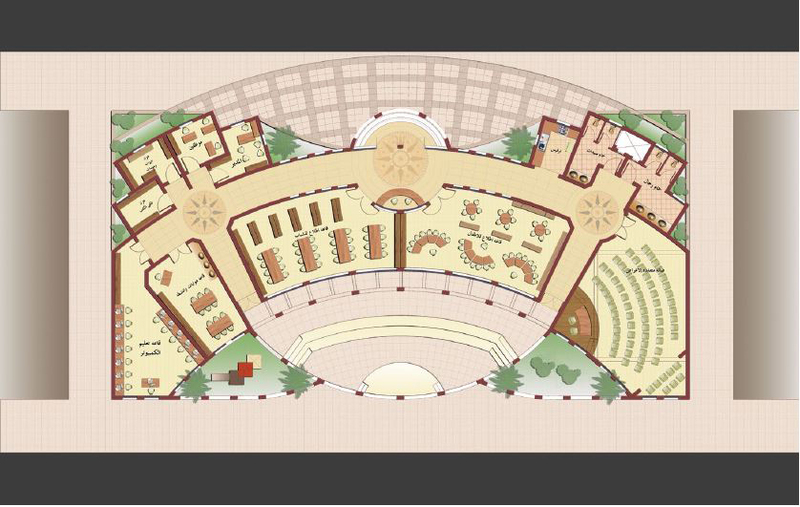 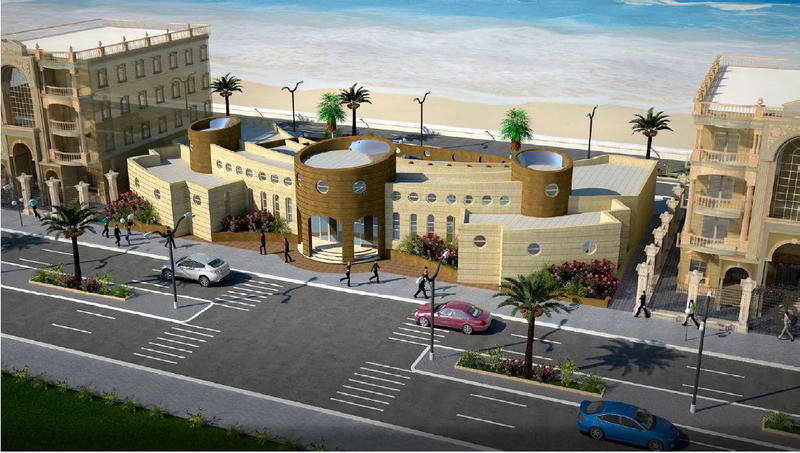 An architectural competition that was proposed by the Cultural development Fund that intended to design public child libraries prototype to be built in the coastal regions. 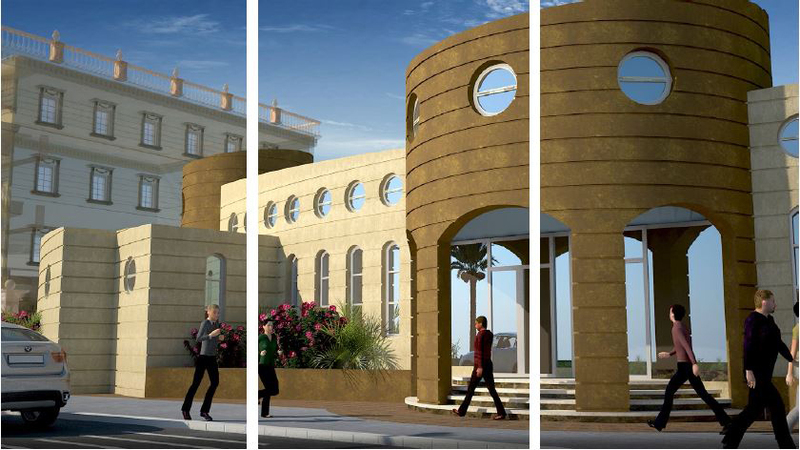 It was required to design an economic and sustainable building and to enrich the cultural conscious of the community.Regardin the strong relationships between local inhabitants and the sea and all its related activities, design team inspired the main form concept of the project of the forms of curved sails and cruises chimneys to be mentaly related to the users of the project. 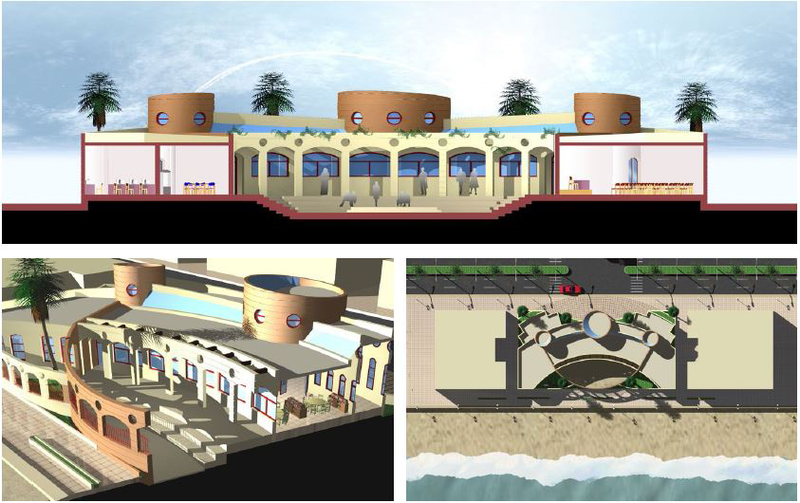 Distribution of building facilities was studied carefuly, so all spaces were surrounding an open atrium which would be used for open activities and ceremonies especialy at night as the famous habits of coastal locals, and in a way that all spaces get the advantage of sea view.building was designed in a form of gradual masses that allow the cross ventilation throw the building, also high ceilings and upper openings helped in the distubance and stirring of air.